Sheffield, our city, seven hills, industrial, innovative, a manufacturer and an originator. Forged from steel, we are the pioneers of stainless steel and the trail blazers for today's industry. Immersed in audio waves, we are the original bleep and the innovators of entire music scenes. Preserved on celluloid in glorious colour and programmed into cutting edge video games, we are the technological developers and ground breakers. The name of our city is known across the globe: engraved on cutlery, stamped on knife blades, cast into giant metalwork, pressed into vinyl, broadcast in award-winning moving images and laid out in genre defining typography. 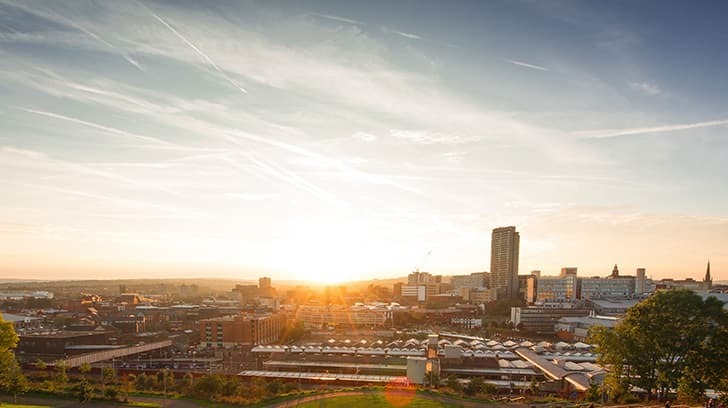 Sheffield: a name synonymous with pride, industry, irrefutably high standards and unquestionable principles. A benchmark for quality workmanship.